This coming Saturday, February 6, will be our first official meetup. Men have messaged me from all across South Korea to express their intent to come join us this Saturday when we meet in the Bosingak Belfry, Jonggak station, in central Seoul. Maps are available here for those who wish to join, and if you need further information or help getting there, email me here for my direct contact information. This informal gathering is happening worldwide among readers of Roosh V’s site as well as Return of Kings, a website where men discuss issues affecting their lives. This meetup is turning into one of the most important events in what has been a long war against free speech, masculinity, and our personal rights and freedoms. This idea of men meeting up and discussing issues is terrifying to the powers that be. 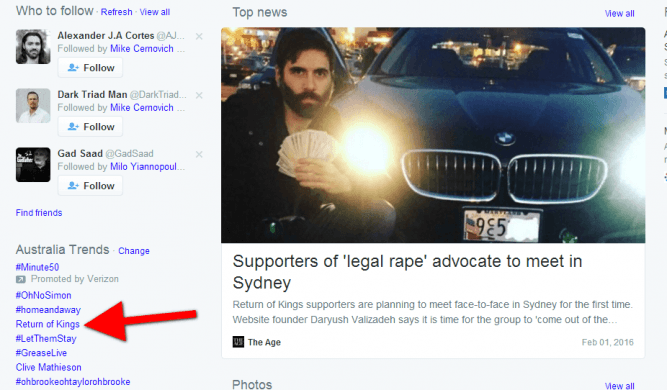 Three countries around the world are actively trying to block these meetings from happening, and Australia is attempting to block Roosh entry into the country. Other countries have people actively organizing to protest against these meetups. You can read where Constitutional and Free Speech legal scholar Mike Cernovich writes about the situation and ramifications of these actions here. As far as I know, nothing in South Korea has been planned to disrupt our meeting, but I admittedly don’t bother keeping up with mainstream Korean media. We also live in a country with more traditional values and the idea of men meeting to talk over drinks isn’t an abhorrent concept here. That being said, there is still a chance that feminists and blue-haired white girls may find out about our plan to meet and attempt to disrupt the event. If that happens, I will be the only face they can see and recognize. Nobody else needs to worry about repercussions from coming to the meetup. If you’re concerned about privacy and anonymity, feel free to come wearing a hat, sunglasses, a hood, or whatever you want to use to hide your identity. Once you greet me, I will give you directions to our final destination and you can go there separately from me. This will protect you from any possible protesters, though I don’t anticipate any coming to our event. The biggest thing to remember is that we are doing nothing wrong, and are merely meeting up to have a drink and talk. We are taking a stand for free speech. The other meetups happening around the world in 43 countries will also have their meetups as planned. We all stand in solidarity together, as independent and sentient men. Nobody will shut us down, whether by protest or by attempted legal action. This is quickly becoming a watershed moment in the history of men and the war against us. The meetup plan has reached mainstream media outlets in several countries around the world, and it will only continue to grow. Take your place among the strong men of the world who refuse to be pushed around. Take a stand and tell the SJW’s and oppressive governments of the world that we cannot be silenced and we cannot be stopped. Be at the meetup this Saturday, February 6, at 8pm. See you there, players!